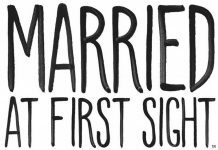 Married at First Sight Season 5 Episode 12 is titled as ‘One Month Anniversary.’ In this episode, couples will take their partners out for dinner date and are likely to celebrate their one-month wedding anniversary. The official synopsis of this episode reveals, “Over one month ago, three couples were married, at first sight, marking a major milestone and halfway point in the experiment,” it further adds, “…and Dr. Pepper Schwartz checks in and reminds them that in just one more month, they will need to decide whether to stay married or get a divorce,” reported TV Guide. 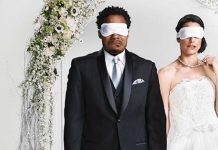 The preview of Married At First Sight Season 12 Episode 5 shows that one couple from Chicago seems to be unhappy with the way things have rolled out since their wedding day. This couple is none-other-than Cody Knapek and Danielle DeGroot. The preview begins with Anthony and Ashley having a fun time. They both are seen playing some game. Both the partners are very happy and enjoy each other’s company. Then the preview jumps to show Cody and Danielle looking tense over the things turning out in their married life. Both of them appear unhappy and Cody seems to console Danielle about something. Are they planning to take divorce from each other? In Episode 11, Chicago couple, Cody and Danielle had a romantic evening. They both gave gifts to each other and had some drinks. They both were seen getting comfortable with each other. But it was not revealed whether they consummated their marriage. This is something fans are hoping to happen between them. The truth whether they did consummate their marriage or not will be revealed on Thursday. This couple has faced a tough time getting along with each other. Danielle even tried to write a letter to herself and later burned it so as to let go of her past. Watch the preview of Married At First Sight Season 5 Episode 12.